Luxury Vinyl Tile or LVT is one of the flooring types available in the market today. It mimics the look of natural stones, hardwood flooring, and ceramic tiles. Only that it’s easier to install and maintain. On this post, we’ll look further into the strengths and weaknesses of LVT to help you decide whether it’s right for your home renovation needs. Let’s get started. Easy care. LVT is a low-maintenance type of flooring. While hard surface flooring demands specific care to keep stains out and preserve its natural appeal, LVT does well with regular mopping, dusting, and sweeping. Since luxury vinyl tiles come with a protective layer, they no longer need polishing, sealing, or waxing. Their protective layer serves as their defense against wear and tear. Design flexible. Whatever your design theme, you’re sure to find a luxury vinyl tile that will fit right in. LVT comes in a wide range of color and pattern options, with some resembling those you’ll find in natural settings. If you want to achieve the natural look of a wood or stone, a LVT can deliver a realistic feel and appearance. Modern manufacturing techniques also allow you to create a casual or formal look. Durable. LVT withstands scratches and heavy foot traffic. It’s highly durable and long-lasting, making it perfect for busy areas in your home. Luxury vinyl tiles are also quieter as their composition allows them to absorb sound vibrations better. That said, you can let kids and pets play, with confidence that your floor will hold up just fine. You can also keep peace of mind that your floor design won’t fade or wear away easily even with constant use. Easy to install. Installing luxury vinyl tiles takes half the time it requires to install ceramic tiles. You can also choose whether or not to use grout. But as with any tile installation project, proper planning is necessary to ensure accuracy. Once the tile is set, it will be hard to have it removed or replaced. Comfortable. Luxury vinyl tiles feel warmer to the touch than other flooring options, making them a resilient cushion for your feet and joints. LVT also creates a more peaceful and relaxing environment since it’s sound-resistant. Can be costly. While a luxury vinyl tile is more affordable than natural hardwood flooring, its price can be higher than other tile options. In some cases, it can even cost almost as much as a ceramic tile or hardwood. Before deciding whether to use LVT or not, be sure to request a quote from your contractor. From there, assess whether it matches your budget. Resale value is not as good. 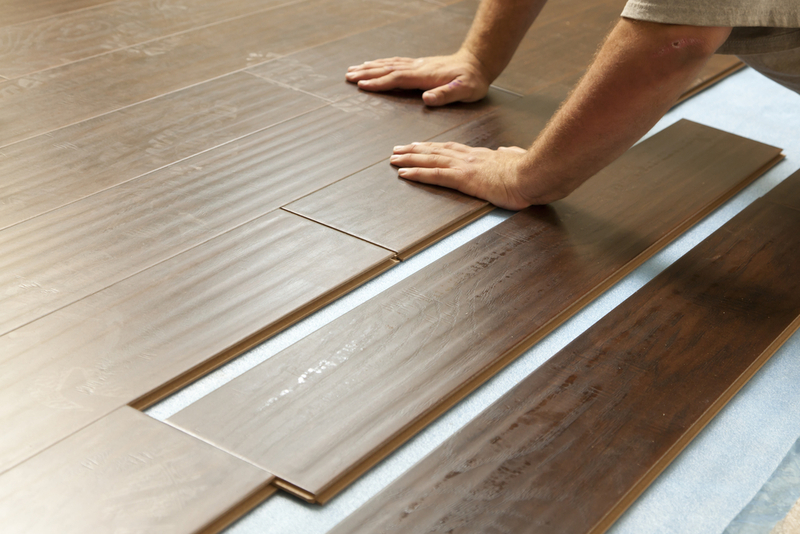 Homeowners tend to lean toward hardwood flooring as they offer a higher resale value. If you’re planning to resell your property years from now, you may want to think carefully if you’re going for luxury vinyl tiles. Comfort lagging against carpet flooring. It’s hard to match the comfort offered by carpet flooring. Carpet tiles are ideal for areas such as workspaces that see a lot of people walking or standing for long periods. Since the cushioning technology in carpet flooring is more high-performance, it’s also a lot quieter than LVT. Transitions can be challenging. One common concern with LVT use is the lack of transition pieces available. Manufacturers can still improve in this area. For homeowners, it’s best to coordinate with your contractor for design options that work for your specific requirements. Every home remodeling project is important to us at Douglas Residential Renovations. Regardless the size of your renovation project in North Georgia, our team will make sure it gets completed to your satisfaction. If you have more questions about luxury vinyl tiles, call us at (404) 483-3544. We’re always happy to hear from you. What is Trex Decking? What are the Advantages?